While the 31-year-old striker put in an indifferent display in his league debut in the loss against Bournemouth, the match against the Terriers showed why Maurizio Sarri pulled all the strings he could to get Higuain at west London. 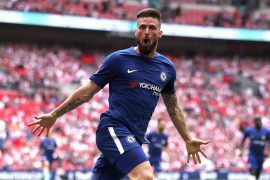 Two strikes of varying craft reminded Stamford Bridge of the Argentine’s top calibre while his off-the-ball movement impressed as well, leading to Sarri believing Higuain will form a great connection with Hazard, who scored a brace himself and like the Blues head coach, the Belgian was no less than impressed with the new signing. 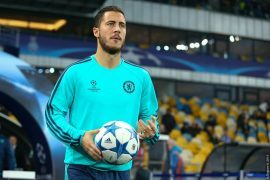 Despite going back to winning ways in style, the west Londoners face a daunting task ahead with a visit to reigning titlists Manchester City and Hazard has preached cautious optimism ahead of next week’s clash at the Etihad. “After this game our confidence is better than two days ago but we play the champions so we know it will be difficult. We beat them at Stamford Bridge so why not again? I always say when we lose a game, we need to win the game after and we did well today. We played one of the best games of our season and scored five great goals,” continued Hazard, who urged Chelsea to maintain their standards game after game.